You asked, we listened. 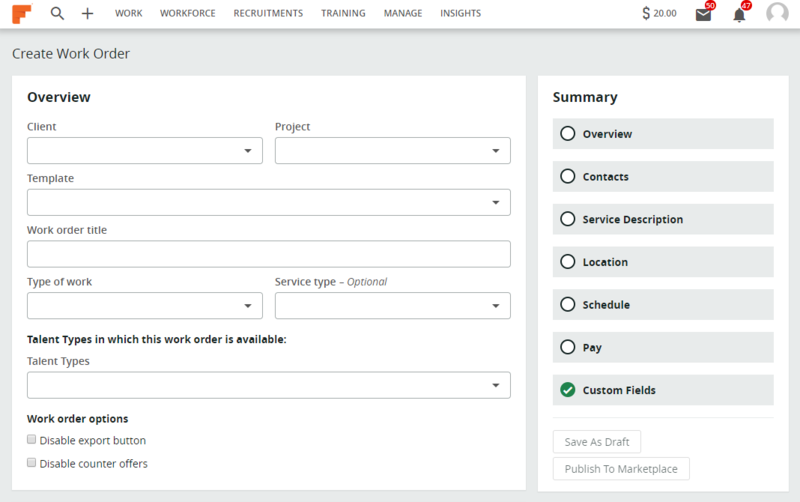 We've updated the Work Order Create page to a modern look that is easy to use. You'll still see all the same features, but some items have moved. Save as Draft and Publish To Marketplace are easier to access under Summary. Custom Fields has moved lower down the page. Contacts is updated to an easy to use drop down menu. Choose the Manager and add additional users to the work order. 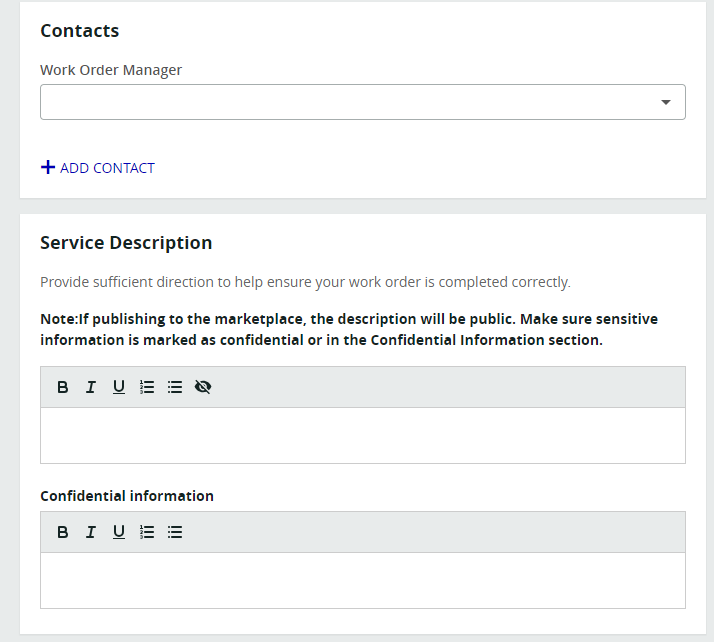 Work order description and confidential information stayed the same. The first box is public information, the second is confidential. Only assigned providers will see what’s in the confidential box. Documents can be added below the Confidential information box. Tasks have a new look and are easier to add. User can drag and drop Tasks to order in a way that makes sense. 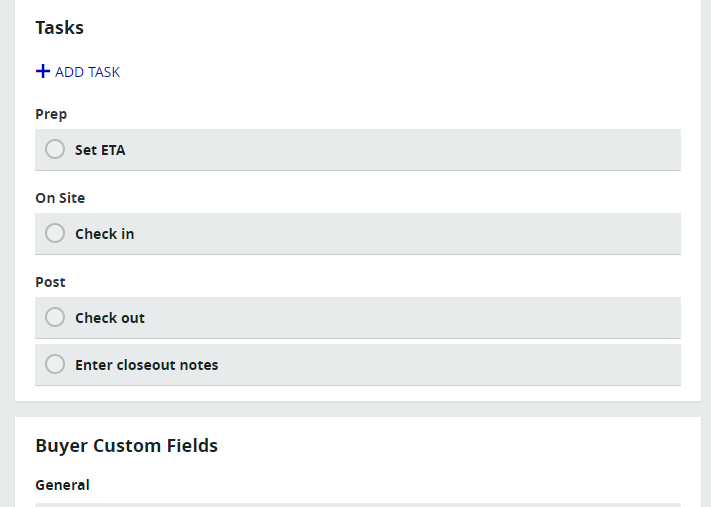 Custom Fields are now below Tasks. Buyer Custom Fields appear first, with company set fields. Provider Custom Fields follow with company set fields. You can now select buttons to easily choose an address. Select Specify exact address to input a new address. Select Save this location for future use to save for use again. 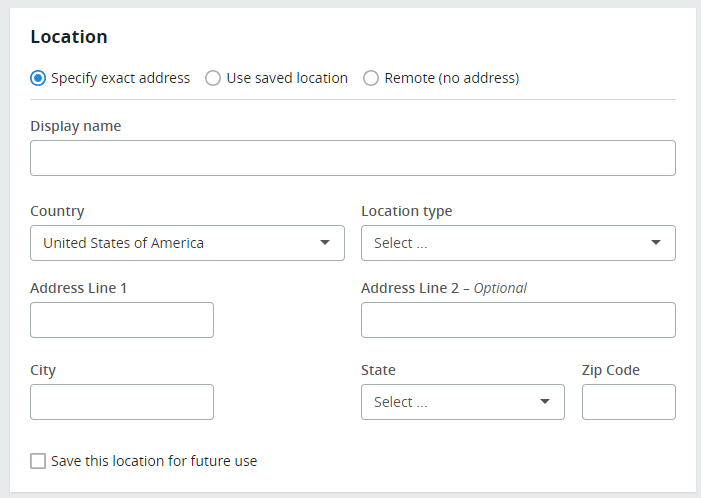 Select Use saved location to pull an address from a previously used location. Select Remote (no address) for work that is completed remotely. To set a schedule, use the drop down menu to choose between arriving at a specific time, between specific hours, or at any time. After selecting from the drop down menu the date and time fields will populate to the corresponding option. Select one of the Quick options to choose a time fast. Select from the drop down the type of Pay offering. Choose Hourly, Fixed, Per Device, Blended. Once selected, pay amount options will adjust. Choose a Funding Account from the drop down menu. Easily add Potential Penalties or Bonuses. 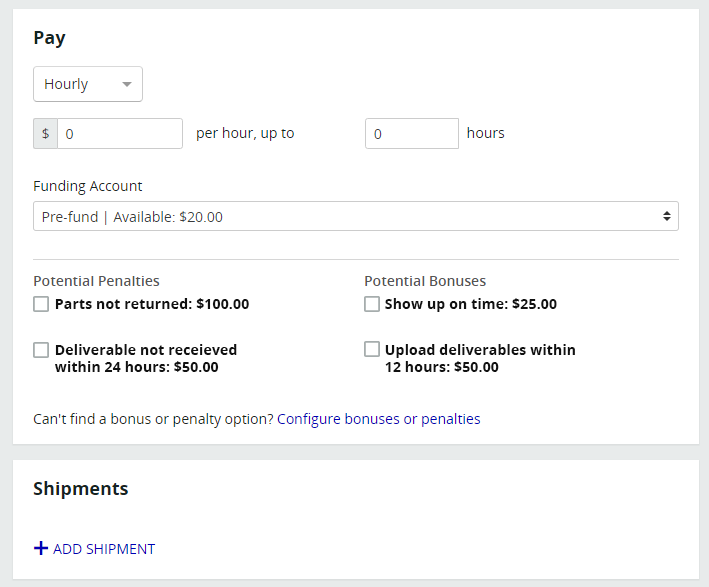 If penalty or bonus is not available, click Configure bonuses or penalties to add new options for future use.